What is Included in a Job Offer Letter? After a tedious application process, an applicant’s face lightens up ones he or she receives a job offer letter. It is indeed a letter that channels good news to its recipient. It is considered as a formal letter that conveys the intention of the employer to avail of the professional services of the recipient of the letter. The letter represents the official offer of employment made by a company to an applicant after passing all the recruitment processes. 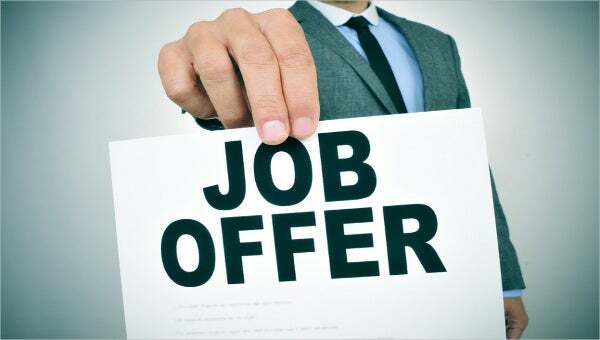 Once the employer is convinced that the applicant’s resume profile fits the job and passes all the examinations, then the latter will be given a job offer letter. Furthermore, the resume summary of the applicant is used by the employer in keeping in touch with the applicant. Contact details of both parties – As with all offer letter templates in PDF, Word or Excel, it is highly important to include the basic details of the employers and the recipient must be provided. Job title or designation – the job post offered to the applicant must be clearly emphasized. To add, the job responsibilities and scope of work of the applicant must also be concretely indicated. The supervisors and immediate superiors of the applicant must also be clearly stated so that he or she will know to whom he will be reporting to. Salary package – The offered salary package must be exactly indicated. Sample job offer letters provide writing tips that pertain to the manner of writing the salary package and its components. The benefits will also be highlighted such as fringe benefits, insurance, profit sharing schemes, and many more. Clearly establish the true intention of the letter. As you may observe in sample offer letter templates, the purpose of the letter is clearly stated. The recipient must easily comprehend the purpose of the letter. Be direct to the point. Provide sufficient information. A job offer letter need not to contain all the employment details because that would overlap with the function of a contract. Be sure to include only those that are relevant and save the other information for other venues. Be genuine and true in outlining the benefits and salary package. Ensure that you can comply with the salary rates that you promise. Clearly designate the pay rate and other relevant information. Adopt a professional language. Bear in mind that a job offer letter is a formal letter. You are still required to follow the prescribed rules in writing formal letters such as those manifested in simple offer letter templates. These are some tips that you may consider. In your own contexts, you will discover more writing strategies and techniques.